Lakes, birds, and the “Big Five”. A safari that first takes you to the Kenyan Lake District. Lake Bogoria offers extraordinary natural phenomena with its hot, steamy springs and geysers. 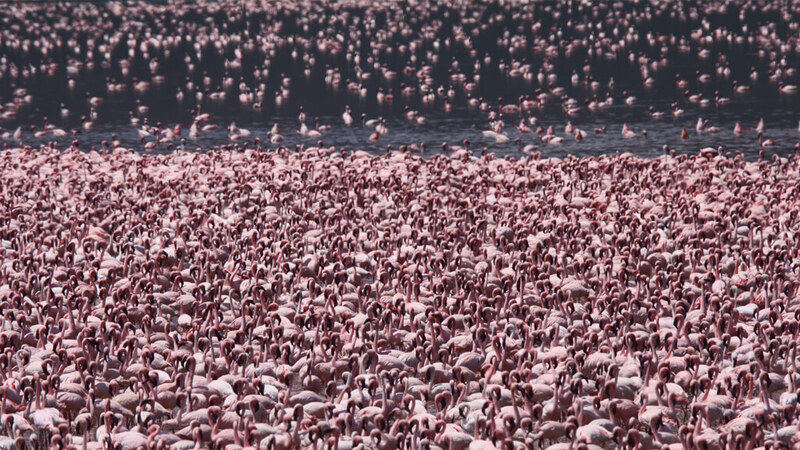 Numerous flamingos flock to its shores when water level is normal. A boat trip on Lake Baringo combined with a bird walk or a visiting to a Pokot village completes this leg of the safari. The Kakamega Rain Forest, the only tropical rain forest in Kenya, is popular and not just for birdwatchers. Walking in the dense rain forest watching a wide variety of birds, reptiles, and insects takes you deep into another world. We then continue to the legendary Maasai Mara. 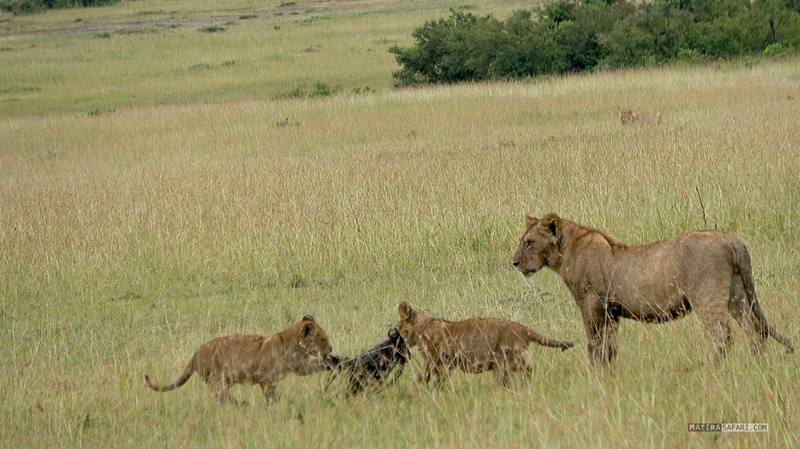 As the most fascinating nature reserve in Africa, the Maasai Mara has an enormous diversity of species that can be admired year-round: impressive large animals such as elephants, giraffes and buffaloes, big cats like lions, cheetahs and leopards, as well as countless antelopes and gazelles live in this intact ecosystem. A unique opportunity for every nature lover to see a fascinating wildlife. Our Matira driver will pick you up at JKIA International Airport or your hotel in Nairobi. We then head directly to Lake Bogoria for a picnic in the park surrounded by hot springs. By evening, we will reach Lake Baringo. We start the day with a boat trip on Lake Baringo. In the afternoon, you can choose to visit a local village or simply relax. After breakfast, we start our journey north to the Kakamega Rain Forest. We’ll reach your accommodation in the enchanting little park on the edge of the rain forest by lunchtime. You can observe a large number of bird species here. A hike in the rain forest provides an intense bird-watching experience as well as plenty of rare insect and reptile species to check out. After four impressive days, we then start our long drive to the Maasai Mara, with a picnic lunch on the road, arriving in time for dinner. On the way to the camp, you’ll already get some initial impressions of wildlife in the Maasai Mara. You can enjoy your first night in the African bush at Matira Bush Camp. The next few days are all about nature and animals. We will leave early each morning for intensive gamedrive. During a bush breakfast in the open savannah, you’ll share your experiences and enjoy the beautiful landscape. Depending on animal activity, lunch will either be in camp or out in the bush. Today we leave the wilderness and take the plane in the morning back to Nairobi. International flights to Nairobi are organized individuallly. We will gladly coordinate your stay in Nairobi incl. the hotel of your choice and transfers. You can also opt to travel to Maasai Mara by road. We like to customise the details of your safari, from the length of stay to additional activities.